Intense and persistent flavor, accompanied by the aroma of pepper that it contains. 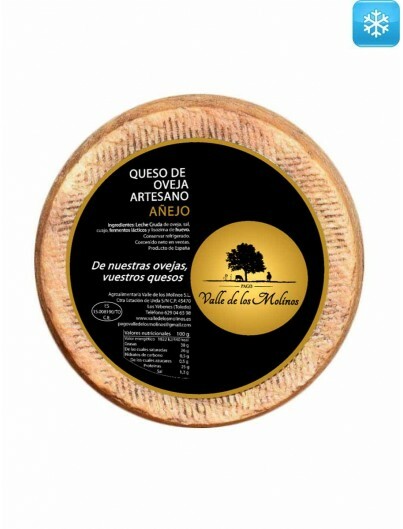 Ideal as an aperitif or to accompany red wines. 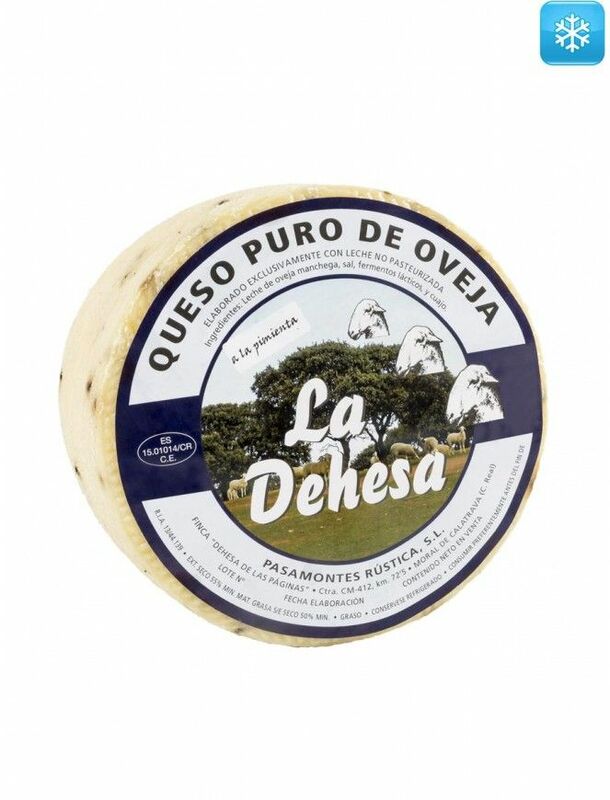 Raw milk cheese of sheep, fatty and pressed paste. The black pepper with which it is prepared and matured provides a powerful and flavored spicy flavor. The color of its mass is pale ivory with small and uneven dark spots of the pepper it contains. 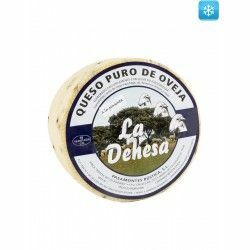 With a maturation of approximately 3 months, it has the characteristic intense and persistent flavor of raw sheep milk. Ideal as an appetizer or to accompany red wines. Raw milk from manchega sheep, salt, rennet, lactic ferments, calcium chloride and lysozyme (egg derivative) and pepper.